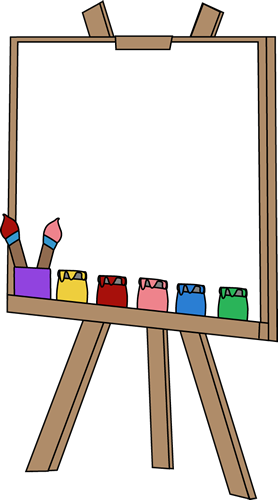 Easel Painting: Clip a large sheet of paper to the easel and encourage children to paint the letter Ee. To differentiate learning, use a yellow highlighter and write the upper and lowercase letter E's on the paper. Then the students can trace the letter E's using paint. 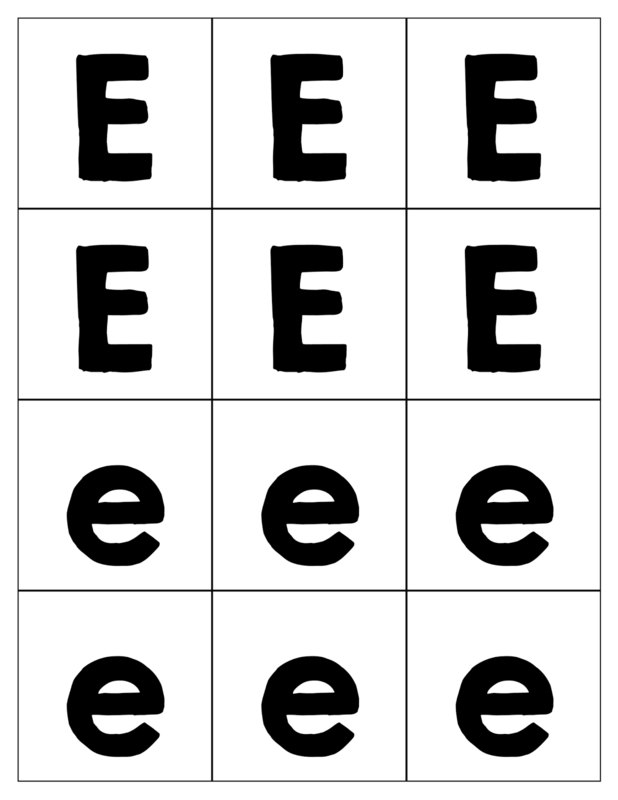 Literacy Center: Print one half of a plastic egg with the uppercase letter E and the second half with the lowercase letter e. Encourage the students to match the uppercase letter E to the lowercase letter e.
Print an uppercase letter E on an envelope and a lowercase letter e on a second envelope. Then use the image below for letter matching. Download the file, print on card stock, cut apart and laminate for durability. Letter Hunt: Go on a Letter Ee hunt around your home. Encourage your child to see how many objects he can find with names beginning with the /e/ sound like in egg and the /e/ sound like in Easter. Support your child’s writing process by encouraging him/her to write the word on an index card. Then have him/her tape it to the object. Odd Sound Out: Say three words, two beginning with the /e/ sound like in egg and one sound that is different. Have the student repeat which sound does not belong. Variation: Use pipe cleaners and beads. Have your child string a bead onto the pipe cleaner for each syllable. 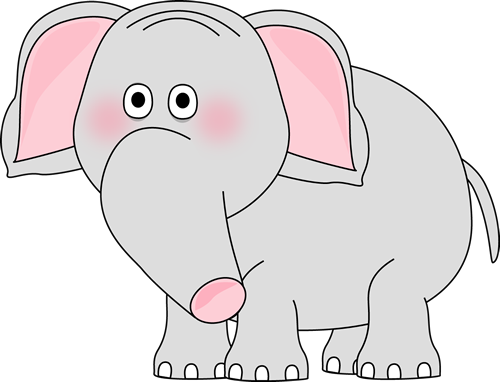 Letter Ee Search: Help Emily Elephant find her easel. 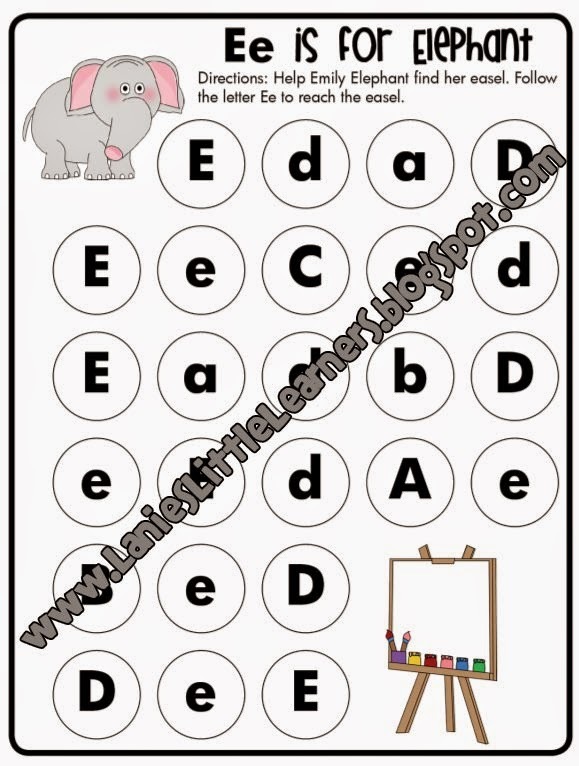 Follow the path of upper and lowercase letter E's to help Emily Elephant reach her easel. /e/ Listening Game: Read the following sentences. Have the students repeat the words that begin with the /e/ sound like in egg. Emily Elephant likes to eat peanuts. Edward is missing his egg. Plug the electrical cord into the outlet. Enter the second door on the right. I hit my elbow on the table. Fill in the Missing Word: All of your guesses should begin with the /e/ sound like in eagle. Circle and Find: Have students practice reading environmental print. Use newspapers, junk mail, and/or sales flyers and have them highlight all of the letter Ee’s using a highlighter.